I always wanted a lean, fit, muscular physique, but when I was 18 years old and weighed 155 pounds at 5 feet 5 inches, I thought that dream was out of my reach. I hated the thought of exercise and I ate unhealthfully. 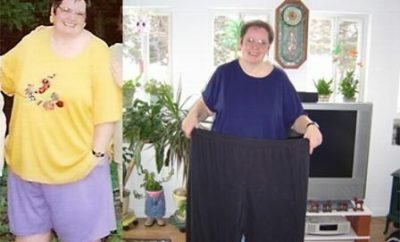 For the next 10 years, I continued overeating and rarely exercised, and my weight rose to 180 pounds. When I turned 28, I started suffering from sharp, shooting pains in my knees. I went to my doctor thinking I had arthritis and asked himwhat I could do to relieve the pain. He immediately said, “Lose 45 pounds because that’s what is stressing your knees and causing the pain.” Until that moment, I didn’t realize how being overweight was affecting my health. I went home and found a Weight Watchers support group. I attended my first meeting a few days later. Instead of feeling self-conscious and out of place as I had expected, I felt welcome, as many of the people were like me or had been like me at one time. 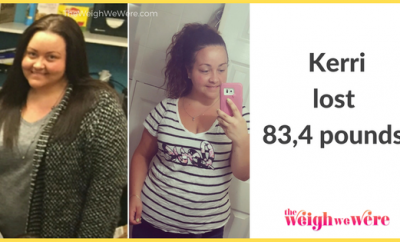 Through Weight Watchers, I learned that not only did I have to make healthier food choices, but that I also had to eat less. I started choosing more fish, chicken, soy and beans, while cutting out red meat. I began cooking without butter or oil and started filling three-fourths of my plate with green vegetables and the rest with whole grains and protein. Since I enjoyed cooking, I bought some lowfat cookbooks and learned how to cook more healthfully. The Weight Watchers program recommended that I exercise at least five times a week, so I found a gym with a variety of equipment and group exercise classes. My biggest hurdle was getting there, so I went right after work before I found an excuse to skip. Once I got to the gym, I loved it. I began with a low-impact aerobics class and then went to other classes, such as kickboxing and body shaping. 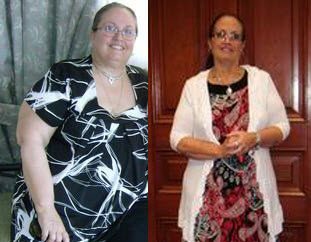 I started seeing results within two months: My body felt smaller, and when I stepped on the scale I saw that I was 10 pounds lighter. I stayed with my new habits, and each week I was leaner and fitter and saw more definition in my arms and legs. 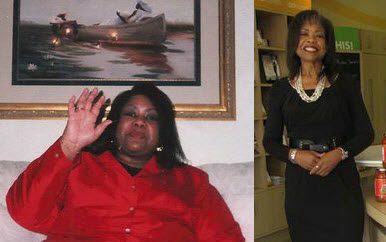 After three months, I had lost 20 pounds and my weight loss slowed down to a rate of 2-4 pounds a month. I was frustrated and often vented at my Weight Watchers meetings. I learned that everyone hits plateaus and the best way to overcome them was to continue with my healthy habits and change some part of my exercise routine. I stuck with it, and two years later I had lost another 25 pounds. When I reached my goal, I rewarded myself with a pair of skintight black leather pants, something I always wanted to wear but never had the courage when I was a size 16. Now I wear a size 8 and I feel awesome. This makes my whole weight-loss journey worthwhile.